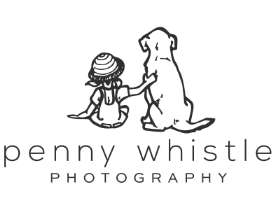 Penny Whistle Photography is located in Coppell, Texas and specializes in creating enchanting family and pet portraits that delight and amuse. We offer an experience that is as unique as you, your family and your pets are. From the pre-session planning to the gallery reveal, our focus is on creating mindful and elegant portraits that you'll be proud to display in your home. We offer both natural light and studio portrait photography as well as commercial photography services in Coppell, Carrollton, Grapevine, Southlake and surrounding communities of Dallas - Ft. Worth, Texas. "You absolutely exceeded the highest expectations. It was a delightful experience and we are beyond happy with the work product. You go above and beyond!" - Lydia H.